In the wake of a released study showing that former Patriots player Aaron Hernandez suffered severe brain damage linked to football, team head coach Bill Belichick responded to questions about the dangers of chronic traumatic encephalopathy, or CTE, on Friday morning. Belichick was asked about what steps the Patriots organization takes to inform players about the dangers of CTE. "The whole medical questions are ones that come outside my area, so our medical department and medical staff, we cover a lot of things on the medical end. Not just one specific thing. 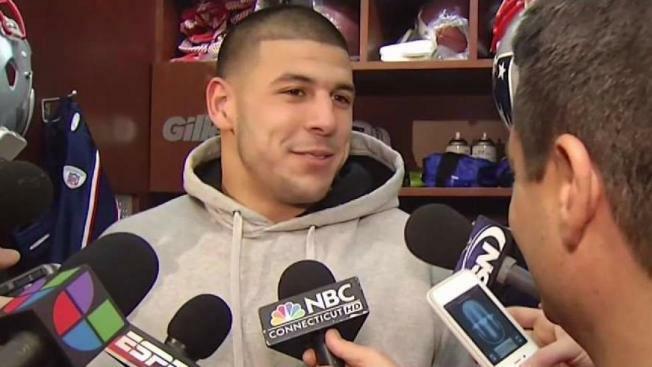 We cover a lot," Belichick answered. The follow-up question was on how Belichick feels the NFL handles informing players of the dangers of CTE? "I'm not a doctor. I’m not a trainer. I’m a coach, so the medical department – they handle the medical part of it. I don’t do that," he responded. Lawyers for Hernandez are suing the NFL and the New England Patriots over his death after a brain study showed the former football star suffered from a "severe case" of CTE. The lawsuit was filed in federal court in Boston on behalf of Hernandez's 4-year-old daughter on Thursday. It claims the team and the league deprived Avielle Hernandez of the companionship of her father. The Patriots have yet to comment on the lawsuit. The follow-up question was on how Belichick feels the NFL handles informing players of the dangers of CTE. On Friday, Joe Lockhart, the NFL’s executive vice president of communications and public affairs, told Profootballtalk.com that the league believes that the lawsuit "will face significant legal issues from the start" and the NFL intends to contest it "vigorously."